If you’re experiencing deja vu, it’s because I’ve reviewed Manairó restaurant twice previously on this blog (my first visit and again in 2015). Better get used to it, because I’ll probably review it again. Why? Because there’s something about chef Jordi Herrera‘s cooking that’s hugely appealing to me. It is, admittedly, cooking that divides opinion. I’ve sent experienced chefs and gourmands here and they’ve come out raving about it. On the other hand, some of my epicurean friends find it a little bit rambunctious. I disagree, but I admit that it’s a word that could be applied to Jordi himself. He’s passionate, opinionated and spirited – unafraid to experiment, and confident in his palate. This is a man who has built a workshop next to his house so he can wake up before dawn to weld metalwork sculptures and tableware for the restaurant; a man who invents and builds one-of-a-kind contraptions to cook individual dishes; a man who, in other words, is not short of energy or ideas. Sitting down to eat and talk with him is always fun. He tastes and tinkers with the dishes, asking his skilled head chef Roger Viñas to change an element or two so we can compare, tirelessly seeking improvements. Full disclosure: I was Jordi’s guest on this occasion and I didn’t pay for the meal. It is, however, a restaurant where I’m always happy to spend my own money. Manairó’s €90 spring 2017 tasting menu, which I ate in early May, finds the restaurant in top form. There are few notes because I was enjoying the conversation, not writing. Just enjoy the pictures, then go and enjoy the food. Curry crunch with ‘hanging laundry’ of smoked bonito. Cornet of salt cod ‘a la llauna’ with pearls of roasted pepper. Tarragon-style ‘clotxa’ – based on the Ebra region’s classic peasant snack. Wild fish marinated in lime and Modena balsamic vinegar. Smoked sardines with lettuce and sweet peas. Cuttlefish rice. Home-cured cuttlefish and sensational rice on stunning plates. Garlic soup sauce with a fried parcel of conger eel ‘brains’. This is a flavour bomb. The ‘brains’ are eel flesh cooked to resemble the texture of lambs’ brains. Oxtail with green beans and potato. Lamb with garlic pureé and black pepper. Filet mignon à la nail-spike grill. The house speciality. Still as good a fillet steak as I’ve ever eaten. Sour strawberry with cream and pepper ice-cream. Manairó has character. Many top restaurants, especially those in hotels, are hard to tell apart sometimes. There’s an international language of bland but highly competent cooking that Michelin inspectors seem to like. Manairó doesn’t speak it. That doesn’t mean the cooking here is careless or sloppy; quite the opposite. Technical skill and good taste are even more important when throwing around powerful flavours like this. The result could easily be a car crash but it isn’t; Jordi steers his high-horsepower cooking skillfully around the circuit for a tire-smoking, fast-paced lap. It’s not the place for those who prefer a serene ride, fine-tuned for maximum finesse and efficiency. But if you favour fun, flavour and full-on attitude in your fine dining vehicle, Manairó is a must-try. 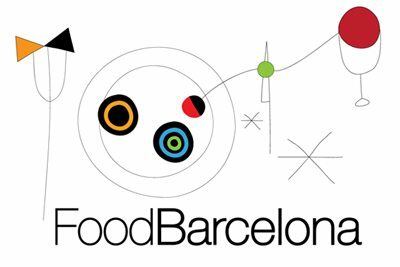 Find Manairó on the FoodBarcelona restaurant map. Check out other Eixample restaurants.